Pointe AutoTech in Detroit, MI 48224 is a full-service preventative maintenance and auto repair center, providing comprehensive car care services for your domestic or import vehicle to keep it running at full power. For questions, contact us at 313-886-2886 or send us an email, and our experts will help determine what needs to be done. Inspection of parts and systems - gears, tires, brake pads, belts, hoses, etc. A fan belt, also known as a drive belt, is a belt connecting your car's engine to the front mounted accessories. The fan belt rotates the water pump and engine fan, which maintains a cool environment for the engine and its components. Sooner or later, your vehicle's fan belts will dry out and crack. When you are ready for a replacement you can count on Pointe AutoTech for all your vehicle's repair needs. You not only have to get the belts replaced with quality ones but you should have the work done by experts. To have the belts replaced by auto cooling and heating experts - and get your car driving right - visit Pointe AutoTech today. The mechanics at Pointe AutoTech will thoroughly inspect your car's belts; replace all worn belts; and adjust the installed belts. Automotive and auto parts come with a factory recommended service and maintenance schedule. The manufacturer will tell you how often to service or replace an auto part. At Pointe AutoTech, we offer factory recommended service/maintenance. Our highly skilled auto mechanics offer comprehensive knowledge and experience. At Pointe AutoTech, all your factory recommended service/maintenance needs are handled with the latest diagnostic equipment. Remember, we work on all American and imported vehicles (either diesel or gas engines). Hoses transfer coolant and antifreeze throughout the engine's cooling system (including the radiator). Sooner or later, your vehicle's hoses will dry out and crack. When you are ready for a replacement you can count on Pointe AutoTech for all your vehicle's repair needs. You not only have to get the hoses replaced with quality ones but you should have the work done by experts. To have the hoses replaced by auto cooling and heating experts - and get your car driving right - visit Pointe AutoTech today. The mechanics at Pointe AutoTech will thoroughly inspect your car's hoses; replace all worn hoses; and adjust the installed hoses. To keep running smoothly, your car highly relies on oil, lube, and oil filters. 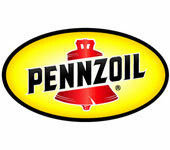 Oil helps in lubricating, cooling, and cleaning the internal engine components. With time, motor oil becomes contaminated. Your car needs an oil, lube, and filter change every three months (or 3,000 miles). 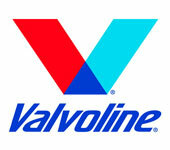 When it is time for a lube, oil, or filter change, take your vehicle to Pointe AutoTech in Detroit, MI 48224. I took my car here and I was very satisfied with the work done. I've been to other shops and I felt like I was getting ripped off but here I was very pleased with everything. The mechanics at the shop were very honest. Honest, quick, cheap. Excellent service and down to earth guys. Being female has put me at the mercy of a wide variety of auto technicians. Pointe Auto, in particular, Mike has restored my faith when it comes to finding an honest repair facility, especially when working on the older vehicle. His place of business was put on the radar for me when the dealership actually refused to work on my van. The tow driver who was not allowed to even unhook the vehicle was directed to Pointe Auto. It was a blessing in disquise. At every turn they have gone out of their way to insure that I could get back on the road safely. I am greatly indebted to their great professional service. They are highly recommended by me for their wonderful service. I would highly recommend this shop. Excellent and knowledgeable service. I have been taking my cars here for the past couple of years and never once have I been let down. I have always been given excellent customer service, quick turn around time, and a fair price. From big projects to little projects, they've taken care of me. As long as Pointe Auto is there, I will be taking my vehicles there! I recommend the shop to anyone I come across that needs work done. Helpful, knowledgeable and speedy air conditioning service. Glad I chose them and will be back. Just picked up my truck today, couldn't be happier with the work, price, honesty, and turn around time. Thank you! Very good mechanic. He is reasonable and will only fix what you want him to. Really helpful. Friendly service. Excellent job and good prices.i have no problem recommending them. They are busy but that's a good thing. Best repair shop around. Nice and friendly staff. I never had any residual problems with the work they performed on my car. I highly recommend this shop especially for women who may be concerned about being ripped off. They have always given me a fair price and quality work. I've known Mike for about 18 years and he has always been a stand up guy! He does really good work and at a better than reasonable price. I'm a mechanic and now that I'm getting older I send my work to him and I would never no that if I didn't 100% trust his work. Bring you vehicle to Pointe Auto Tech and you will have a mechanic for life!!!! Mike did a fantastic job on my car. Very fair price as well! Got my brakes done yesterday super fast with it great staff, wouldn't take my vehicles anywhere else customer for life! keep up the good work! Used Mike for first time today because my brother swore by the work he had done on his car.. This was by far the best experience I have ever had with a auto shop. My Catalytic Converter has been stolen by a crackhead while I was working up at the hospital. Mike took care of the issue in less than 2 hours for a super respectable price. He even offered me a ride somewhere while the car was being fixed. Mike just found himself a life long customer!!!! Thanks Mike!! You the man!! !